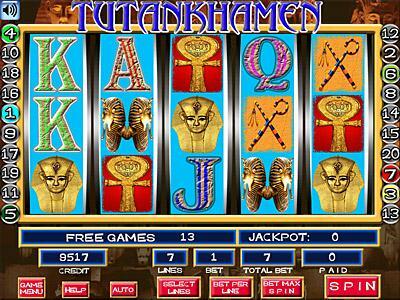 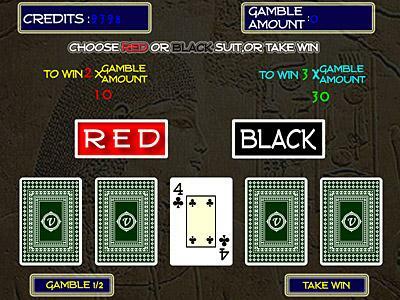 5 reel game with the golden treasures of Pharaoh and many bonus games for more winnings. When 15 Pharaoh painting symbols appear on the reels then the Jackpot is triggered and the player wins the number that appears on the screen. 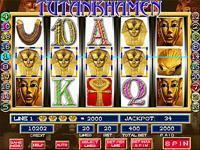 In order to win the Jackpot the player must play at least in 10 lines. 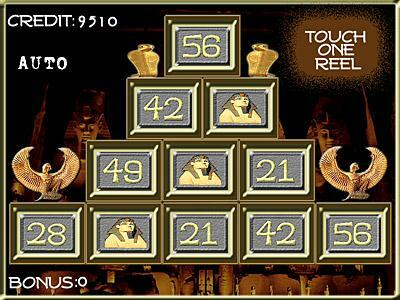 The Pyramid Bonus is triggered when 3 symbols Pharaoh statues appear on any line and any place. 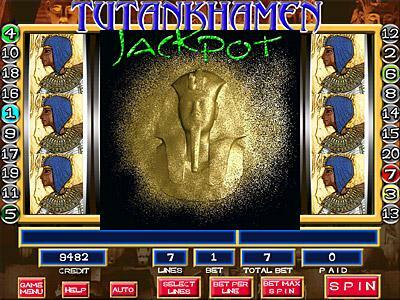 Then the player can pick up the rocks that will give him the biggest winnings. 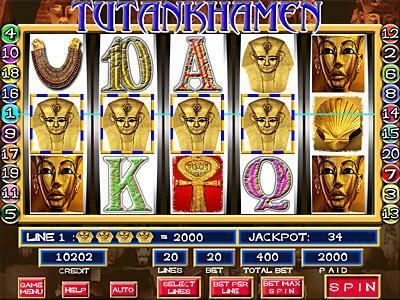 He can keep on until 3 Pharaohs appear. 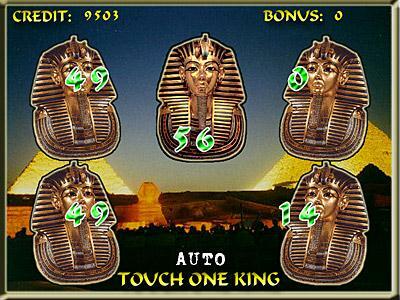 The King Bonus is triggered when 3 symbols double Pharaoh statues appear on any place and any line. 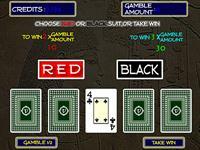 Then the player can choose the kings that will give him more credits until he picks up the king with 0 credits. 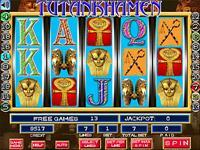 When 3,4,or 5 canes appear on the reels then the player wins 10, 15 or 25 free games respectively.